There should never be a light on in a room that is being used. Even if you’re coming back to that room in a few minutes, you should still flip off the light. During the day put natural sunlight to work by open curtains and blinds. Are you the type of person that makes several trips to the grocery store throughout the week? It might be a smarter move to take care of it all in a single trip. That will certainly reduce the amount of gas you’re using your car. That in turn can be more money in your pocket. Additionally, you should also drive the speed limit for better fuel efficiency. If there’s an opportunity to walk or ride a bike to take care of those errands, then put that to use. Good for the environment and good for your body. Farmers markets have grown in popularity to the point that nearly every community has at least one farmers market up and running on a weekly basis. By doing some of your shopping at a farmers market your help and support the local economy. There’s no reason why your computer should be running overnight unless you are compressing a program. Not only should you shut down the computer and your monitor but you should also make sure it is unplugged from the wall. That holds true with other appliances and phone chargers that aren’t being used. You probably are already recycling your plastics, papers and water bottles around the house but you recycle it doesn’t have to stop there. 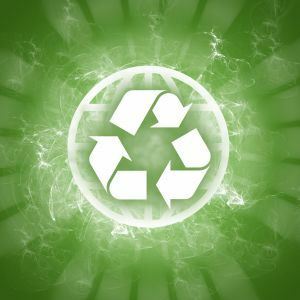 If you want to throw out larger items like furniture, appliances or e-waste, then those can be recycled to as long as you hire the right junk removal company. That would be Junk King Contra Costa. These junk removing pros have been going green ever since they started hauling away rubbish. They know the right recycle facilities to drop off all your recyclable materials. Best of all you don’t even have to ask, they’ll do it automatically. If you want to reduce your carbon footprint by getting rid of junk the only call to make is to Junk King Contra Costa. This entry was posted in Junk Removal and tagged carbon footprint, junk, Recycling on August 27, 2017 by Junk King. Last updated August 27, 2017 .